Once a sleepy fishing village, Nerja is one of the few places to have kept its traditional charm, with whitewashed houses, narrow streets and all the modern amenities you could hope for. 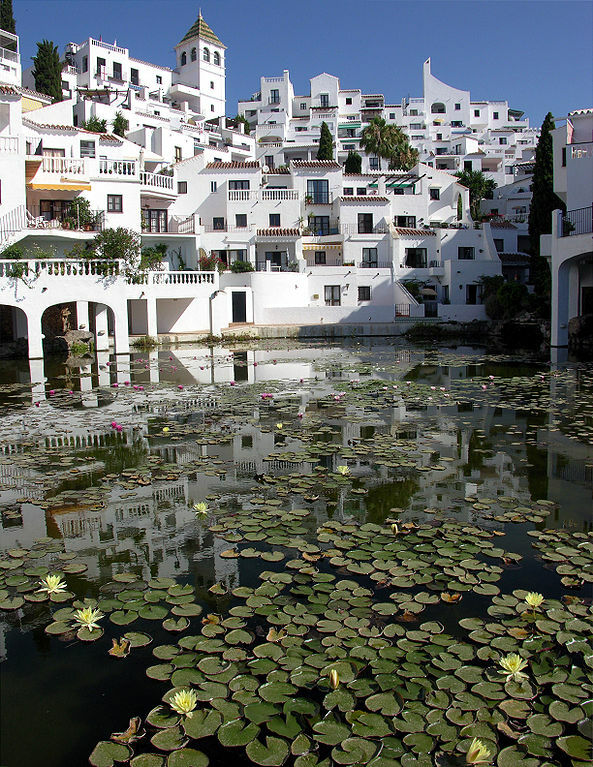 The name “Nerja”is derived from the word “narixa” an Arabic term which translates to bountiful spring. 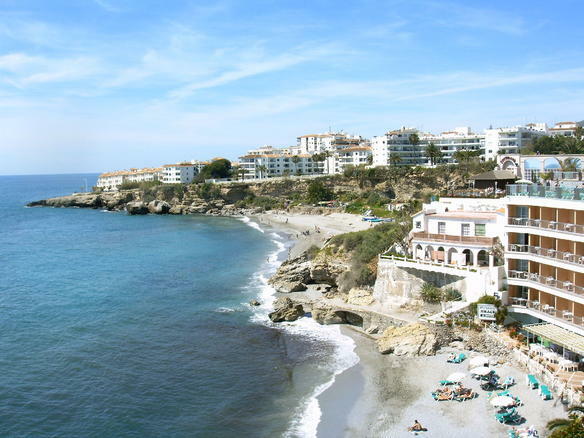 Nerja boast sixteen kilometres of beaches with powdery sand and some sparking clear water. There are many major water sports offered here as well as water skiing, scuba diving and sailing. However there is much more to this lovely destination than just sea and scenery. Following are the things to do in Nerja, making it the ideal location for your next Spanish holiday. The Sierra de Tejada and Almijarra Natural Park and the natural area of the Acantilados de Maro- Cerro Gordo are the two protected areas while hiking at El Cielo. They both provide some spectacular Hiking. Playa de Burriana is the largest and best equipped beach resort with a long and wide strip of pale sand. In summer kids can enjoy floating slides .Behind the beach is a paved promenade with a long line of Chiringuitos (Spanish beach bars) and further Camino de Burriana is an international assortment of bars and eateries. There are pedalos on hire as well as sun beds with parasols. Enjoy the view from the balcony of Europe: if you want to experience a feeling of freedom, don’t think twice and have a good look through the Balcony of Europe. An endless Mediterranean sea infolds at your feet as if there was nothing else on the other side. Don’t hear about it experience it yourself. Travel back to Prehistory at the caves of Nerja: If you like art, you must visit the caves of Nerja. The stalactites and stalagmites formed through the years will take you to another world to discover the origins of men. Here 42000 year old seal picture have been found which could be considered the first works of art for humanity. Drive a quad bike to discover the wildest landscape of the city. It is an excellent trip to enjoy nature and authentic adventure. Travelling by Boat is exciting if you are travelling with a group of friends. A captain will keep the vessel under control, while you jump into the sea to have a swim, sunbathe on the deck or enjoy the view. Spend an excellent time with friends and have a cocktail party. No one can beat the Shambles karaoke Bar in Nerja. It is an establishment with excellent service where shame is left behind to do your best by grabbing the microphone and singing. Water sports in Nerja: Nerja offers adventure and water sports with everything from a gentle boat trio to viewing of Dolphins to more exciting and daring activities. Go snorkelling to see the world beneath the Mediterranean or try water skiing and knee boarding. Head up into the sky for parasailing. There are also exciting inflatable rides, kayaks, boat charters and more. Nightlife in Nerja is one of Spain’s well–known hot spots for a throbbing and vibrant nightlife. If you’re planning a trip to Nerja, you simply have to know about its incredible nightlife scene. The best of nightlife in Nerja is at Irish Annies an extremely popular pub with European and American Travellers. The Hideaway and Plaza de Tutti frutti are one of the best times to be had in Nerja. No wonder Nerja has been recently declared the most charming coastal town of Spain.